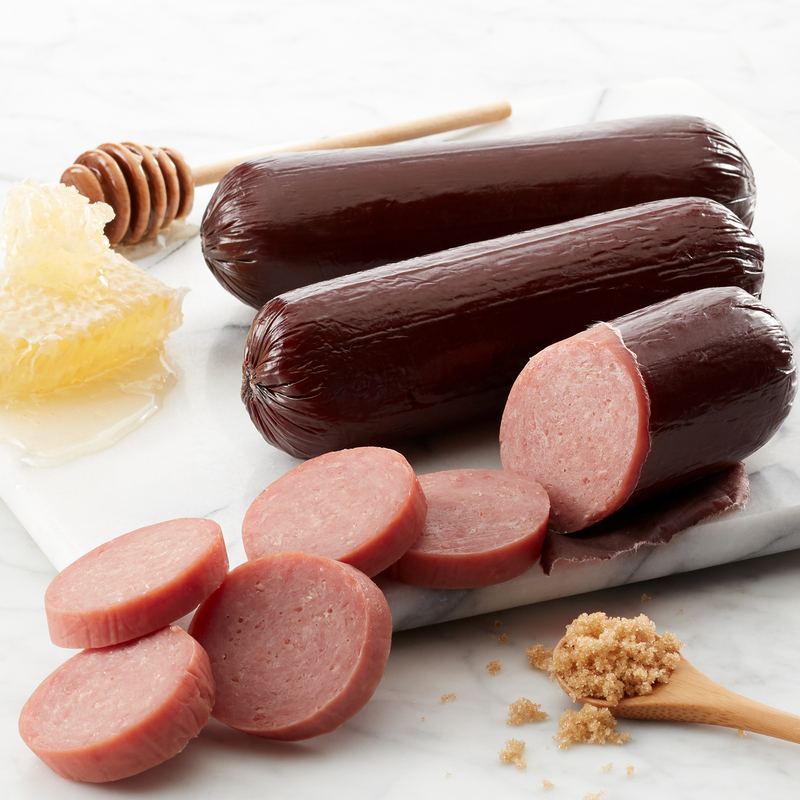 Our Sweet & Smoky Turkey Summer Sausage is crafted with a blend of brown sugar and honey for a unique sweet and savory flavor combination. It's delicious on its own or as part of a cheese and sausage spread with Honey Pineapple Mustard and Golden Toasted Crackers. 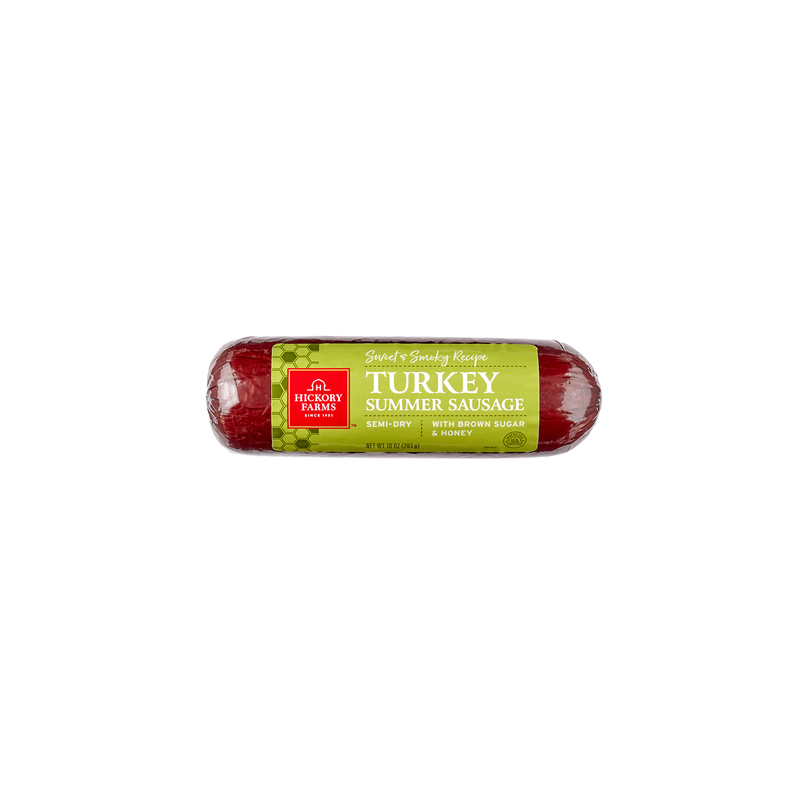 Because of its softer texture, this turkey sausage tastes best cold. Try refrigerating before you eat it!